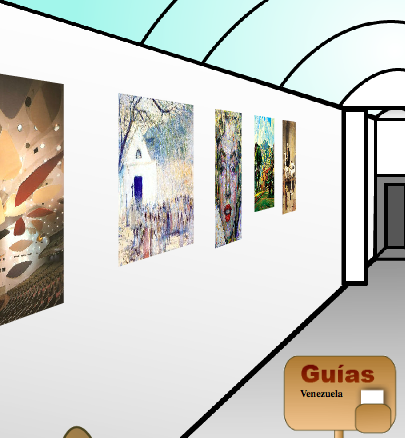 To both improve cultural knowledge of Spanish-speaking countries through their artworks, as well as to provide a shared basis for discussion incorporating higher levels of student investment and engagement, Department of Spanish and Portuguese professors Sue Pechter and Benay Stein approached the MMLC/Hewlett summer program to develop a virtual art museum, capable of accepting, organizing, and displaying digital representations of paintings and sculptures from around the world. In the online museum, students select and curate exhibit galleries organized by country. Hewlett intern Amanda Wasielewski worked with the MMLC to create a fun and immersive interface using Adobe Flash, that is both dimensional and dynamic.